What does it say about me that I read this book last year and am posting my equally vintage interview with Adam Ross just now? That would be one of those questions I hope no one would ask. So I’m throwing it at myself, in a fit of self-flagellation. But the answer actually approaches logical, believe it or not. Mr. Peanut is a complex book, so complex a once-over reading isn’t nearly enough to catch all the sneaky and brilliant little allusions, the references to things philosphical, art history, etc. My intention was to read the book through once more, before posting the interview. And at the time that seemed like a logical proposal. Now, looking back, it seems rather lame. 1). Do you practice any writing rituals, any special things you do to prepare? I wake very early, write for three hours. Take a break. Run, lift weights, play tennis, take a jiu-jitsu class, something physical. Eat. Hopefully talk to a human being for a while. Do a second two-hour session. Repeat the following day. Sunday is Sabbath, depending on my wife’s Honey-Do list. This is only when I’m cooking with gas, by the way. 2). Do you write longhand or on the computer? Computer for fiction but I journal longhand. 3). Can you recall when you knew you wanted to be a writer? I’ve been scribbling stories forever, honestly. I nearly bored my third-grade class to death with a 13-page long epic about superhuman mercenaries that I read in its entirety during “show and tell,” which come to think of it now should have been called “show don’t tell.” From there I moved to comics, creating scores of superheroes and drawing my own books. Caught the literature bug at Vassar and it was curtains afterward. 4). Were you a bookish child? How about your family? Were there many books in your home, growing up? My mom has an MA in literature, she wrote her thesis on Henry James, so yes, there were books everywhere. But I wouldn’t describe myself as bookish. I was a comic book freak, as I mentioned, and my first passionate reading experience came, really, in high school, when I read Frank Herbert’s Dune series and studied the Bible intensively. 5). What is your educational background? Was that a good basis for your writing? New York’s Trinity School for middle and high school. English degree from Vassar, followed by an MA and MFA from Hollins and Washington University respectively. I don’t see how writing programs hurt an aspiring writer in any way, though in truth it was the exposure to fully formed artists like Richard Dillard, William Gass, and Stanley Elkin that had more of an impact than anything else on my development. 6). What are your biggest challenges as a writer, things you struggle with? I struggle every time I put words to the page. It’s cliché, I know, but it’s no small thing to write an inspired sentence that becomes a paragraph that becomes a scene, and so on. Like any writer, of course, I want to grow, which for me means I’d like to create on a bigger canvas. We’ll see if I can pull it off in my next novel. 7). What do you feel are your writing strengths? My father says my dialogue is terrific and most people tell me that my writing is highly cinematic. This is very important to me because I’ve always given credence to Conrad’s mantra about making the reader see. 8). In Mr. Peanut, was it difficult separating and then weaving together the plot lines? Did you use any particular method for keeping track of plot points? It was and there came a period during the last two years of drafting where the whiteboard in my office was covered with the most elaborate outlines that only I could read—P1 and D1 and Mp1 and MD1, bizarre stuff that led my wife to occasionally doubt my sanity. 9). What are you saying about marriage in the novel? There’s this mysterious, paradoxical way in which marriage distances the lover from the beloved while also making her more vital to the lover. Consequently, we occasionally dream of freedom from the person we depend on most in life. The kind of marriage I’m describing is modern marriage, mind: chosen, willful companionship grounded in that most unstable of emotions: love. 10). Are you, or have you, been married? My wife, Beth, and I will celebrate our 17th anniversary this August. We’ve been together since 1991 and every day has been bliss, especially after I got her pregnant five months after she gave birth to our first daughter. Yes, in spite of the fact that she was still breast-feeding, we still made time to take long baths together, give each other back- and foot-massages every night, and never, ever fought. Not once. She also happens to be my best friend on the planet and here comes a whopper cliché: we seem incapable of boring each other. 11). Do you feel your book depicts marriage honestly? Is it intended to be realistic? It depicts a single marriage honestly, the marriage of David and Alice. In his own. In his own novel, David sees aspects of his marriage in the investigating detectives’ marriages, just as they see aspects of their own in his. The Sheppard material, meanwhile, verges on historical fiction: it’s a fact that Sheppard behaved the way he did with his wife Marilyn and his mistress, Susan Hayes. And the astute Hitchcock fan will note that the Hastroll section exactly mirrors the marriages portrayed in Rear Window, including the killer, Lars Thorwald (whose name recombines into Ward Hastroll). So the majority of the book steals data history or another artist reports to us about marriage. 12). How long did you spend researching for MP? It’s hard to say. A solid year if you combine all the Hitchcock criticism I read as well as the Sheppard material. 13). What about Escher and Hitchcock drew you to pull from their philosphies/works? Those are really two questions. With Escher it was several things. First, his use of tessellation: two connected images that trace the outline of their opposites. I like to say that Mr. Peanut is about three marriages that tell the story of one marriage—an Escher-idea, really. Second, the sudden loss of perspective you experience looking at his work, the ceiling becoming the floor, etc. Marriage can feel similarly emotionally vertiginous. Just ask my wife. As for Hitchcock, well, there are too many things to enumerate. His obsession with male anxiety and the controlling gaze men try to exert on idealized women, not to mention his obsession with the destructive and saving power of idleness that I noticed in his films when I studied them at Hollins. Idle characters in Rear Window and Vertigo, say, slip into moral hazard but also exorcise themselves of their compulsions during this slide. I use a similar strategy in the novel. 14). Are you working on anything new currently? Anything you can share about it? My short story collection, Ladies and Gentlemen, comes out June 28. I’m very proud of it. 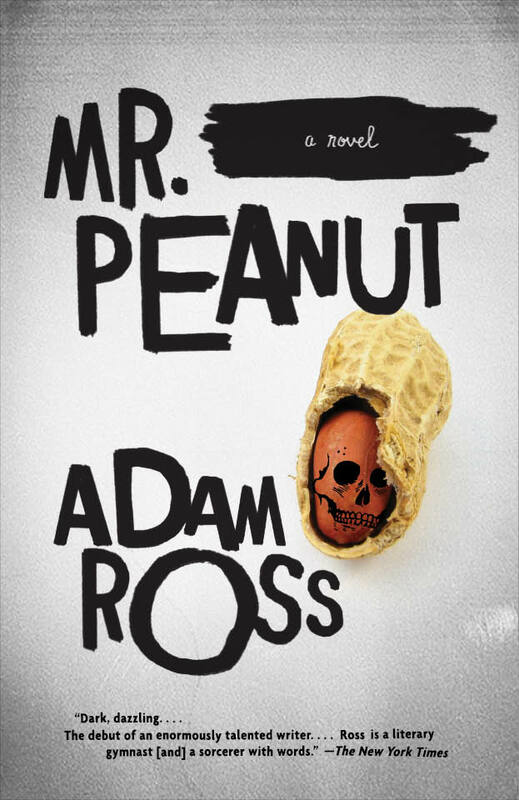 It’s really a companion to Mr. Peanut since the stories were written during breaks from the novel. 15). What authors do you admire/enjoy reading? Do you credit them with influencing your writing style? I’m omnivorous but I love Cormac McCarthy, Saul Bellow, Alice Munro, Joseph Conrad, Nabokov, John Hawkes. In all the writers I mentioned there’s this amazing combination of exuberance, intelligence, and great-heartedness that I aspire to in my own work. 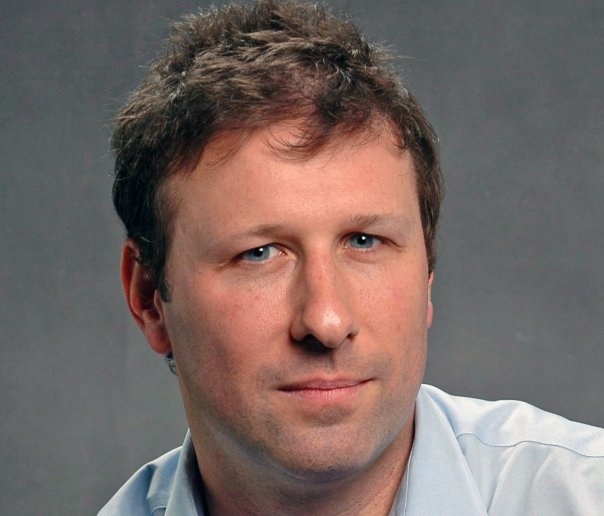 Thank you, Adam Ross, for the work you put into answering my plethora of questions. And hopefully you’ll consider late better than never. Either that or you’ll snub me at literary soirees and other events, in which case I will cry quietly into my Diet Pepsi. My life is in your hands. Visit Adam’s website for a complete listing of his works and a bunch of other cool stuff. And buy his books. You will love them.